By nature, I'm a planner. That's not saying that I dislike spontaneity, but I like to have an idea of where my time commitments lie so that I can be whimsical around them. Typically I'll have a rough idea of what my weekend looks like by Wednesday, which is why this four-day holiday weekend is causing me so much stress (especially since I'm working two of the four days). My weekend plans are all contingent on one element, whether or not I decide to participate in the 11th annual Hotter Than Hell Marathon in Audubon Park. 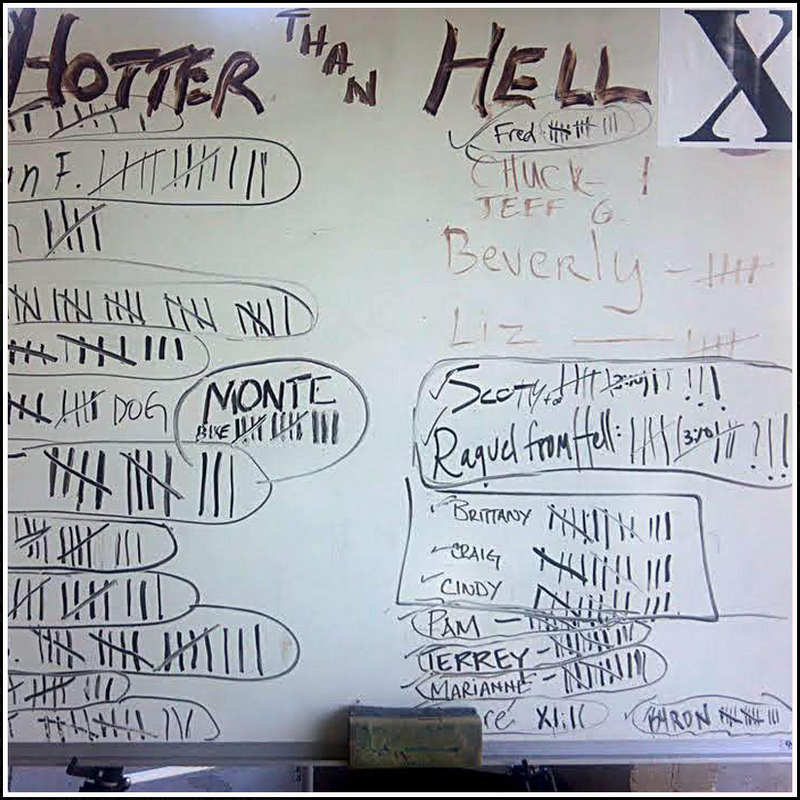 The Hotter Than Hell Marathon takes place every year on the Sunday closest to July 4th, and is comprised of completing 13 laps around a 2.015 mile loop on the asphalt path in Audubon Park. The laps can start anytime after midnight on Saturday night, and must be complete by the 9am awards ceremony on Sunday morning. The marathon is completely self supported, with runners providing their own hydration and electrolyte fluids, plus keeping tabs of their laps completed on a dry erase board. The event is completely free, with the funding coming from sponsorships; however, donations from runners who participate are strongly encouraged. All proceeds raised through donations go to RaceMD, a charity benefiting patients with Muscular Dystrophy. The legend is that the run started with a group of guys who were doing their 20 mile long run as part of training for a fall marathon. At the end of the run, one guy joked that they should just go ahead and finish the marathon for good measure. As a result, they did the additional 6.2 miles for fun. For the past 10 years, the "training run" has grown in scope and size. The name alone has been enough to scare me away from participating in the race the past couple years. Who in their right mind would run a marathon in New Orleans in the middle of July? Well, apparently there are now about 100 runners who do it annually. So now I have to decide, "Do I have it in me?" I've gotten verbal commitments from a few friends who said they would come out and do a couple laps with me at some point during the run. Katherine was the first to commit, and subsequent friends have said that they would do the same to keep me motivated to finish. Several of those friends did give the caveat that if I would be on mile 20 around 3am, they would just be coming in from a night of drinking in the Quarter. My money would be on us not running in a straight line, and I don't know how I feel about not running the tangents. Ultimately my decision will be made by how I feel on race day, the weather, and how festive my holiday becomes. I know it will be a fun night. It would also be a great training run for my fall races, regardless of how slow and steady I pace it. If this is the last time you hear me mention the event until next July, you know that it just wasn't in the cards for 2013. If you see a race recap on Monday, you know that I somehow convinced myself that it was a good idea to participate. And if you never see or hear from me again, I think the cause is self explanatory. NOTE: For more info on the Hotter Than Hell Marathon, check out the limited details available on the event's Facebook Page and Official Website. Oh no, and now I'm going to be out of town! I hope the weather holds and that you are able to take on this race and that we do hear from you again, haha. Eh, it happens. I'll blame you if I don't make it. Haha. Actually, rain is threatening, and I don't run in the rain. My mother asked me "How about you skip the race and we just take you to breakfast Sunday morning." The woman knows me too well. She knows how hard it is for me to turn down pancakes.